Our job is not just to offer the best pallet for the job, but to help you understand why. That's where our packaging lab comes in, where pallets and packaging equipment can be tested on your merchandise to determine that perfect balance between cost savings and protective thriftiness. Next time you need to talk with a pallet expert, be sure to ask if you don't understand! Class - The way to denote stringer or block pallets by arranging them according to systematic division. Stringer Companion - Full or half-length supplementary stringer placed next to damaged stringer during pallet repair. Unit Load - Assembly of goods or single item on pallet for handling, moving, storing and stacking as single entity. Quality Index - Measure of effectiveness of nails and staples during pallet use of their influence on useful pallet life, representative of fastener withdrawal (FWI) and fastener shear (FSI) resistance. Notch - Filleted cutout in lower portion of stringer to allow entry for fork tine, usually 9 inches long and 1.25 to 1.5 inches high. 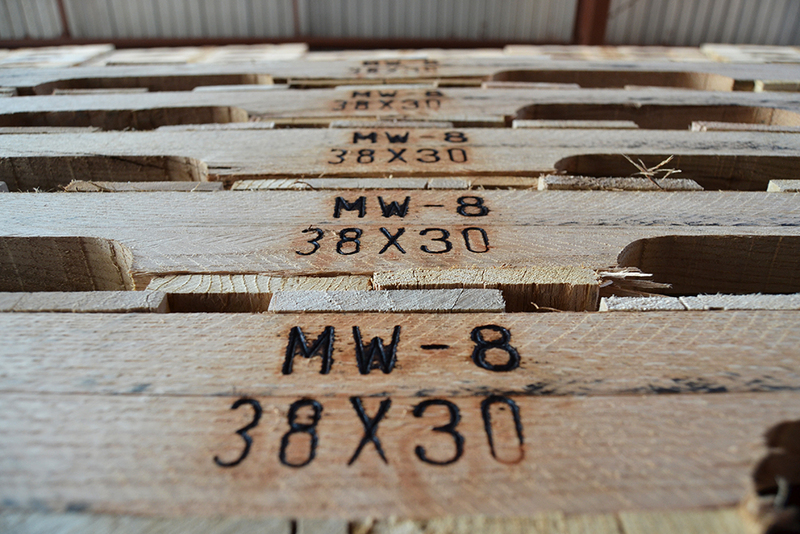 Did you enjoy this mini-pallet lesson, or do you have bigger and bolder questions that need answered? Let us know in the comments and we'll do our best to address your questions as they come! Note: These terms and their definitions were provided by the Approved American National Standard on Pallets, Slip Sheets and Other Bases for Unit Loads.